Fleet Feet Sports Hoboken is proud to announce the addition of CEP to our compression wear lineup! CEP, the intelligent sportswear, brings state-of-the-art compression technology along with decades of expertise in the production of compression legwear. 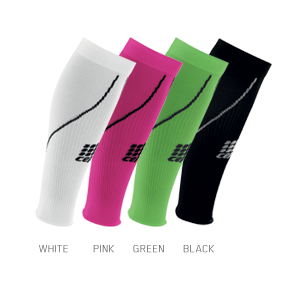 Initially, we are carrying their Progressive Calf Sleeves, aimed towards runners, triathletes, and team sports athletes. support circulation, and (sigh of relief!) less soreness post-workout! They come in black and white colorways, and additionally in orange for men and pink for women. Our expert staff will discuss their benefits with you and measure your calves to ensure proper sizing. Come on over and check them out!